No, NASA did NOT change your astrology sign! ARTICLE: No New Astrology Sign! Dear Friends, for the love of God, NO, Nasa did NOT change your astrology sign! I’m writing this blog in response to the many pleas for clarity I have received from people who are confused & overwhelmed by the latest round of misinformation & bogus media stories relating to a supposed “new” 13th constellation and supposed “new” 13th sign called Ophiuchus. Just so you know, this isn’t the first time I’ve had to write a blog like this clearing up this exact same bogus story. In fact, this same misinformation about a supposed “new” sign and “new” constellation called Ophiuchus circulated in the media back in January of 2011. 2.) 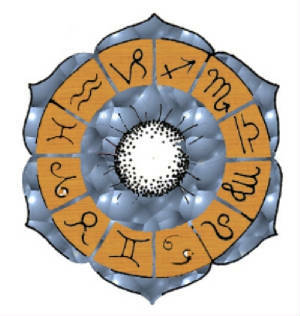 Furthermore, Western astrology (as it has evolved in its modern form) is seasonally-based and not only related to the actual constellations. Any actual practitioner of Western astrology could tell you this! To elaborate, our current form of Western astrology is based on the TROPICAL zodiac, whose main points of reference are the EQUINOXES and the SOLISTICES, and *not* the stars. The ancient Babylonians (who were the originators of our current system of astrology) knew about Ophiuchus. In fact, it was recognized as one of their 13 major constellations. However, their calendar for tracking time had 12 months (similar to ours) and they wanted their astrology signs to line up with that, so they had to leave one of the then-known 13 constellations out. In any case, the actual star constellations that inspired the Babylonians in their creation of astrology have shifted a great deal in their position in the actual sky since 3,000 years ago. What hasn’t changed is the relationship between the astrological signs and the Equinoxes and Solstices. This is why the zodiac signs (as seen from the perspective of astrology) stay more or less constant in their dates. Why all the bogus stories & mis-information then? I’m not sure really. Maybe it’s simply because some people have too much spare time on their hands and enjoy spreading lies. Or perhaps it is a not-so-subtle attempt to undermine the knowledge of astrology. Or maybe these stories have been allowed to leak out into the media simply because some of the mainstream media don’t take astrology serious enough to bother fact-checking any story relating to the topic. On a metaphysical level, I do find it fascinating that this story about the Ophiuchus constellation keeps popping up from time to time. Even though the story about a “new” constellation or sign is false, Ophiuchus is a real constellation (although known since ancient days) and does have a powerful mythological character associated with it. Perhaps the energy of Ophiuchus is calling out to be activated and recognized, not necessarily as a new astrology sign, but as a force within ourselves & our lives. Ophiuchus is connected to Asclepius, an ancient Greek healer who actually lived then later was exalted to deity status after his death. He is often shown with a staff that has a serpent intertwined around it. Indeed, the word Ophiuchus is translated as meaning “serpent bearer” or “serpent holder” in Greek. In any case, Ophiuchus was recognized by the ancient Greeks as the constellation for Asclepius, the Greek god of medicine. Asclepius was a master healer who was said to have been raised & trained by the ultimate wounded healer, Chiron. In addition to healing, Asclepius was said to have the ability to raise the dead, which ultimately got him in a bit of trouble with the Greek God of the underworld (Pluto/Hades). This mythology seems to suggest an emphasis on death, transformation & regeneration. Could it be that many of us are currently seeking REGENERATION on some level or another? Perhaps we are going through difficult times and have recently experienced the loss of a loved one or some kind of metaphorical death (such as the ending of a relationship, job or major cycle in our lives). Or perhaps we are hurting and are simply in need of healing. If so, we might call upon the healing & regenerating energy of the Universe within ourselves, knowing that there is a compassionate, loving Divine healing force available to us all, regardless of what our zodiac sign might be!